Ecstasy warning after a 16 years old boy from Rugby is fighting for his life in hospital after taking high-purity ecstasy on New Year’s Eve. The boy was found unconscious in the street in Rugby, Warks, by a passer-by who flagged down a police car. Police officers gave the boy first aid until paramedics arrived and seized a quantity of tablets from the scene. Tests showed the tablets were high purity and contained the AUDI car logo and also detected the letters ‘AU’ on them. Det Insp Dave Andrews, from Warwickshire Police, said: “We strongly advise anyone to consider the consequences of taking any illegal substance; both in terms of their health and the legal consequences. 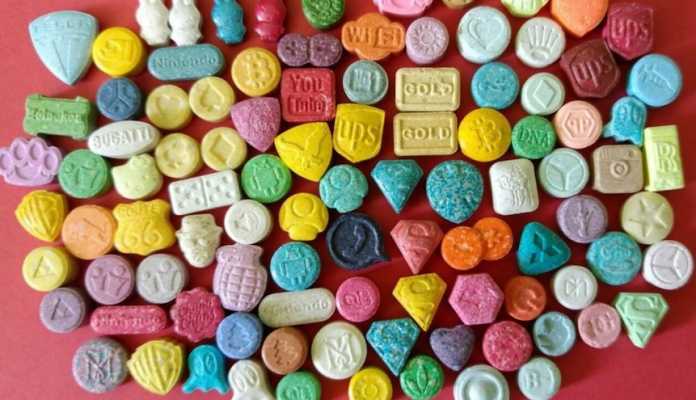 “We’re particularly concerned in this case because of the discovery of high-purity ecstasy. I would urge anyone with ecstasy matching the description of that seized not to take it.